Used for cutting soft copper conductors. Has a "V" shaped notch between jaws, near the joint, for crushing the flameproof type of insulation on distributing frame wire. 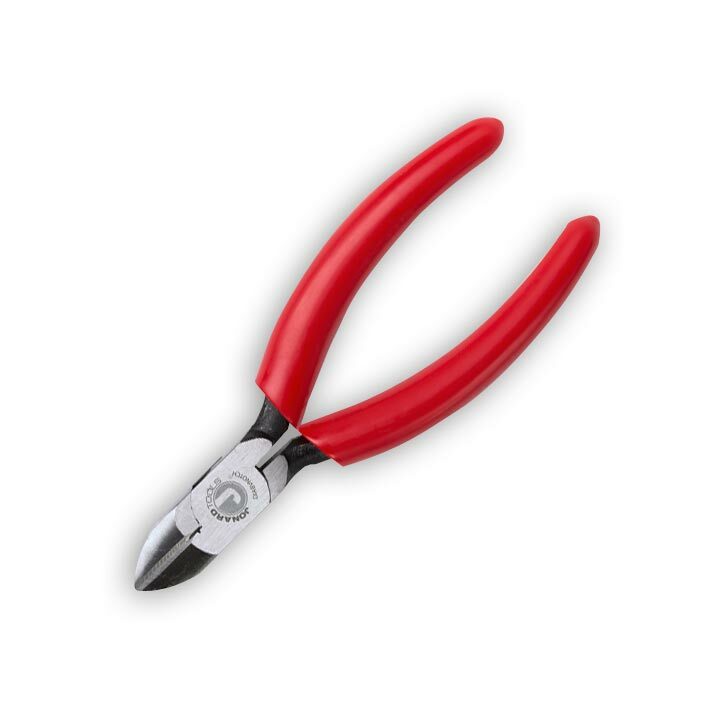 Also provides a "W" shaped notch on the plier jaws for slitting textile insulation. Red plastic handle 5" long. 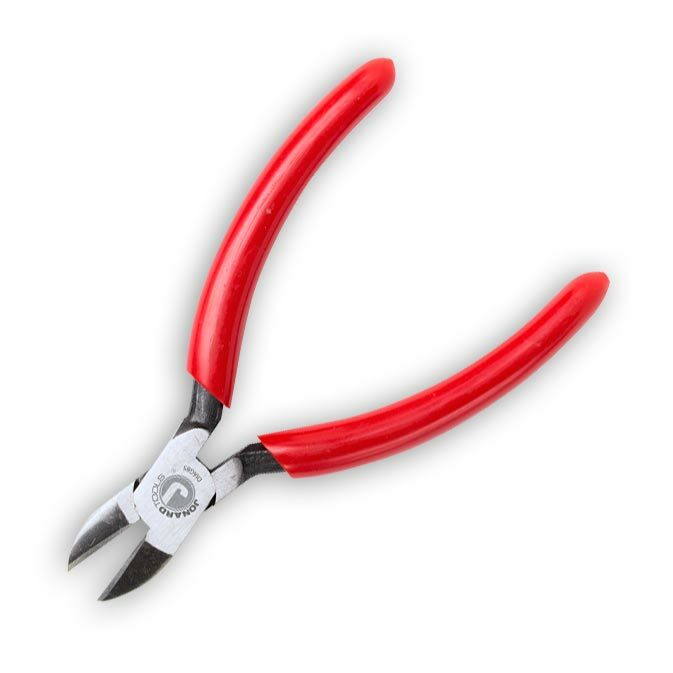 Tapered nose diagonal cutting pliers with standard-bevel knives with one 0.45" skinning hole, crusher used for multipurpose wire work, and two V shaped stripping notches. Red plastic handle 6 1/16" long. 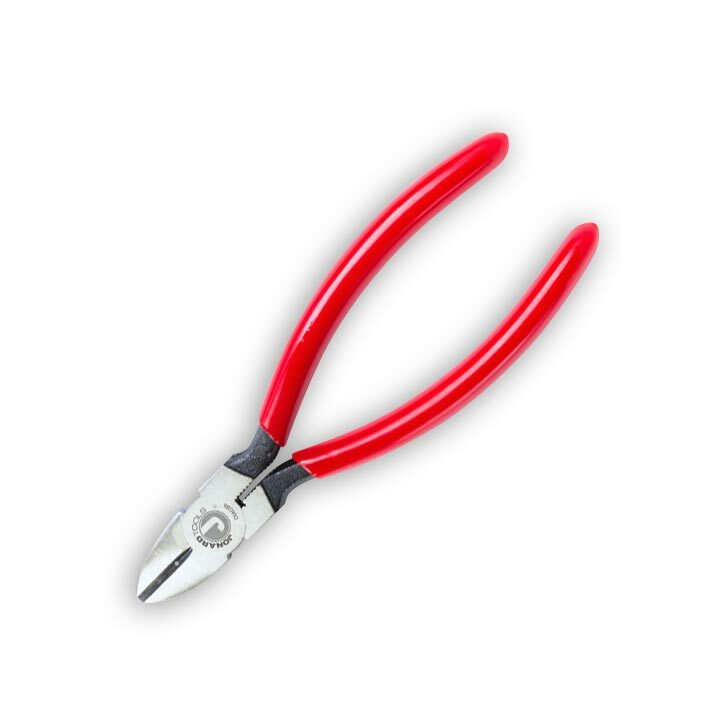 These are plain diagonal pliers for general use for cutting soft copper conductors. Red plastic handle, 5 1/16" long. High leverage design for superior cutting ability. 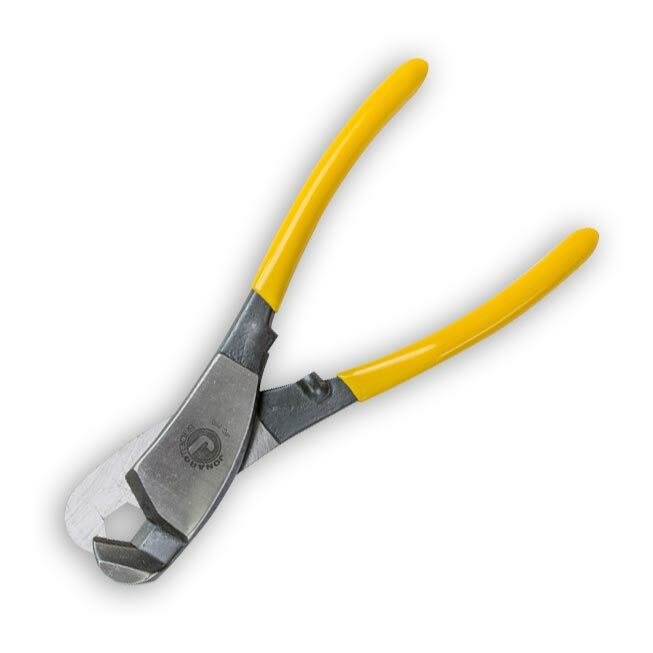 Also known as a Banana Cutter, this cutter is designed to cut 3/4" coaxial cable. Tool cuts cleanly without compressed or frayed ends. 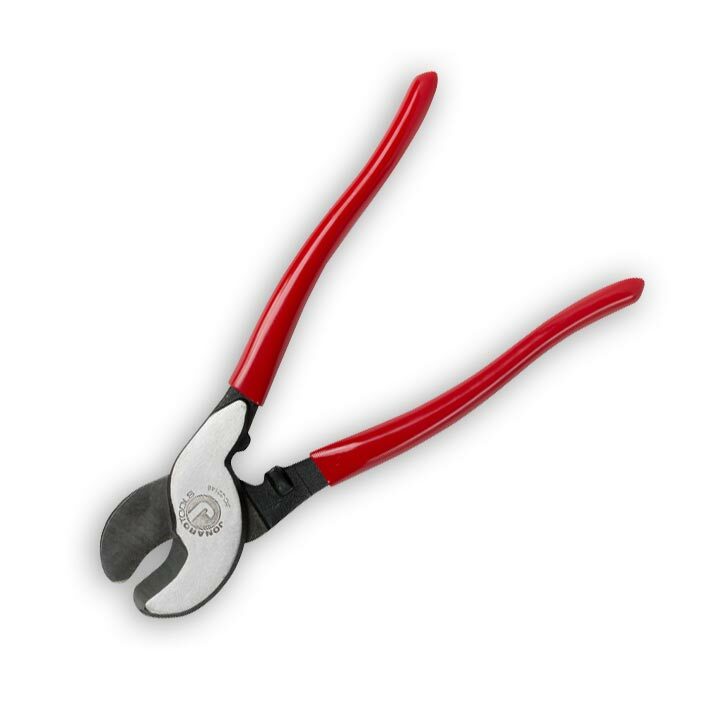 Functions like a tube cutter - eliminates cable distortion during cable prep. NOT designed to cut steel cable. Yellow plastic handles. 8" long.